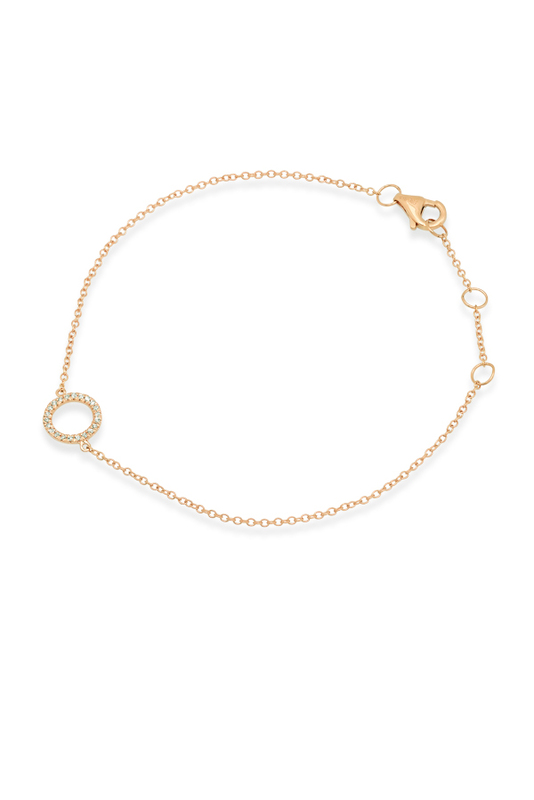 14k yellow gold bracelet with diamond encrusted circle motif at the center. Pendant - Length: 0.25", Width: 0.25". Chain Length: 6. "; extendable to 7".